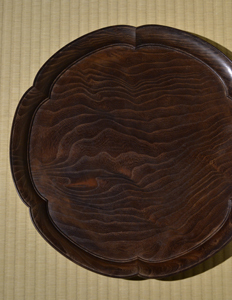 The lacquerware was mainly used traditionally, and the encounter of ceramics makes our table coordinate enjoyable and enrich the aesthetics in Japanese food culture. 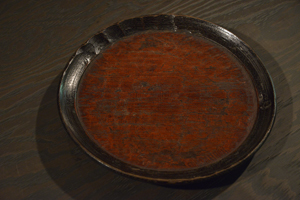 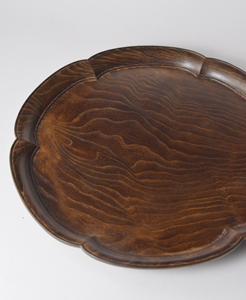 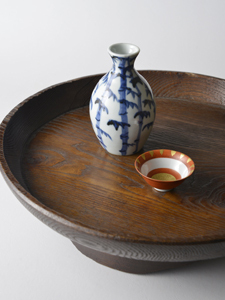 When tilting the tokkuri bottle to pour sake into guinomi, there must be a beautiful tray. 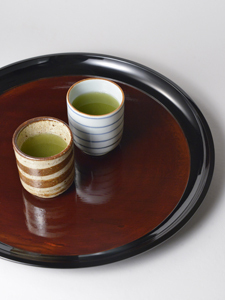 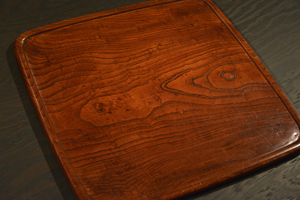 In the tea ceremony, there are some kinds of manners using a tray, called Bon-Temae. 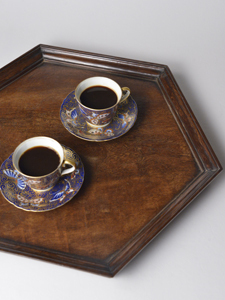 You can enjoy tea frankly without sitting with your legs bent beneath one, if there is a tray. 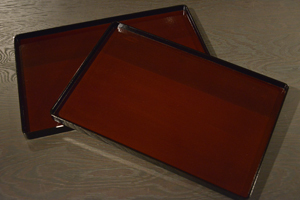 And also, it would please your guest’s eyes when you set the tiny dry sweets on a beautiful lacquer tray. 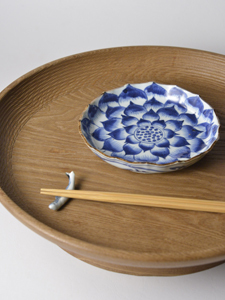 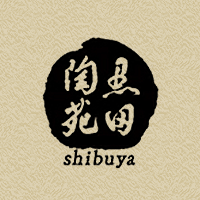 In Chakaiseki, the meal served at a tea ceremony, we serve bowls and dishes one after another onto the tray, that enhances the beautiful combination of cuisine and tableware. 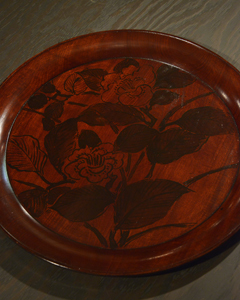 It is wonderful to have something beautiful that fulfill our mind.